Why would I need self storage in Bellingham, WA? There are a variety of reasons why you might need self-storage in Bellingham, WA. How much is a storage unit in Bellingham, WA? The cheapest storage unit in Bellingham, WA is $93.00 per month. What size storage units do you have available in Bellingham, WA? In Bellingham, WA we have sizes that range from 5'x5' to 10'x20' to suit your storage needs. How much is it for a 5'x5' storage unit in Bellingham, WA? The cheapest 5'x5' storage unit in Bellingham, WA is $93.00 per month. 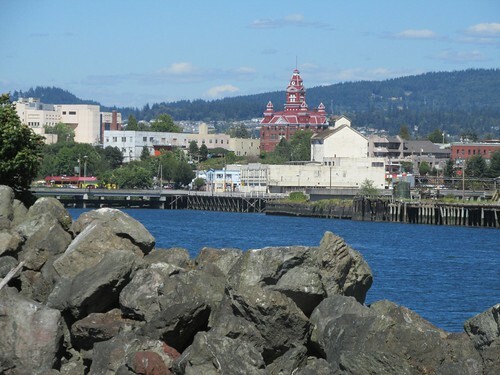 Located about 90 miles north of Seattle, Bellingham is known as the northernmost major city before the Canadian border. It is also one of the largest metro areas in the state of Washington and stretches over nearly 30 square miles. Situated in a lush, scenic part of the Pacific Northwest, Bellingham is known for its wide variety of outdoor recreation destinations. Like many areas of Washington, the land where Bellingham now stands was first a home to Native Americans. The Coast Salish people called the area home and were undisturbed by settlers until the 1850s. In 1858, thousands of miners, shopkeepers and treasure hunters swarmed the area as a result of the Fraser Canyon Gold Rush. What had been a tiny, quiet mill town transformed into a busy seaport almost overnight. Over the next several decades, coal mining was a major part of the local economy. The city was officially established in 1903 when the towns of Bellingham, Fairhaven, Sehome and Whatcom merged to form Bellingham. Many of the towns' original historical elements are still present in Bellingham's downtown buildings as well as in the Fairhaven Historic District. Bellingham is home to hundreds of businesses that provide health care, education, manufacturing, retail and many other services. With such a diverse range of employers, a job search in the city can often be very successful. The city's largest employer is health care provider St. Joseph Medical Center, followed closely by Western Washington University and the Bellingham School District. The city of Bellingham, Whatcom County, the BP Cherry Point Refiner, Haggen and Fred Meyer are other major employers in the Bellingham area. If you're planning to join the local job market, you might want to start your job hunt in the thriving industries of construction, leisure and hospitality, government, manufacturing and professional and business services. Ongoing growth in many of these industries provides good job growth and plenty of employment options. Bellingham Public Schools oversees the public schools of the city. There are also several highly-rated, fully-accredited private schools in Bellingham, including Whatcom Hills Waldorf School, Whatcom Day Academy and St. Paul's Academy. If you're looking for higher education in Bellingham, you'll find three different community college campuses in addition to Western Washington University. Utilities: Bellingham's major utilities providers include the city utilities department, Puget Sound Energy and Cascade Natural Gas. Garbage and Recycling: The city contracts with Sanitary Service Co. to provide collection services to both single-family homes and multi-family communities. Transportation: The Whatcom Transportation Authority operates a network of public bus routes in the area as well as van pool and paratransit programs. As home prices in Bellingham rise, they've reached a median price that is considerably higher than the national average. However, housing costs in Bellingham are on par with the Washington state averages. If you're looking for the most affordable homes in Bellingham, concentrate your search near the city's center, close to Cornwall Park and Whatcom Falls Park. If you have a higher housing budget, you can search for waterfront property along Bellingham Bay or Lake Whatcom. Our lowest priced units in Bellingham, WA average $93.00 per month. 77 people have reserved units in Bellingham, WA in the past 30 days. There is 1 location within Bellingham, WA's city limits.